​Here at CoinValues, we cover an entire variety of coins ranging from the pennies through gold coins, but there's no denying that many of our visitors are interested in finding out what their Lincoln wheat cents are worth. 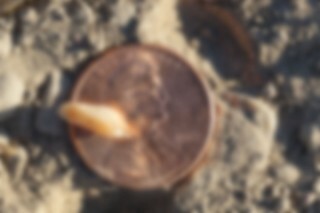 That's perhaps little surprise to us – after all, pennies are among the coins we most commonly come across in pocket change, and they are the coins that helped launch the hobbies – and even careers – of so many numismatists. 1909-S VDB – You'll be hard pressed to find one of these old Lincoln cents in circulation, but believe it or not there are still rare reports of lucky individuals finding these scarce coins in pocket change and rolls. Only 484,000 were made, and they're generally worth $600 to $1,000 or more based on condition. 1914-D – Fewer non-collectors seem to know about the 1914-D Lincoln cent, but it's also a rare penny that's worth looking for. Less than 1.2 million were made, and fewer exist today due to so many being lost to the sands of time. They're worth about $150 and up. 1922 plain, no-D – This 1922-D cent was accidentally struck without its "D" mintmark signifying its origin at the Denver Mint. This was caused by die polishing and resulted in a rare variety that is one of the most popular Lincoln cent rarities. These are worth about $500 and up. 1931-S – Only 866,000 Lincoln cents were made at the San Francisco Mint in 1931. This scarce key date coin is worth about $50 and up. 1943 bronze – The 1943 bronze cent is an off-metal error made during the year when the United States Mint struck one-cent coins from zinc-coated steel. The bronze 1943 penny, which should weigh 3.11 grams and not stick to a magnet, is worth around $100,000 and up. 1955 doubled die – This rare error variety has been a collector favorite since it was first discovered soon after its release. 1955 doubled die cents are usually worth at least $1,000. 1969-S doubled die – One of the most expensive Lincoln cents is also one of the toughest. Only a handful of 1969-S doubled die cents are known, and they're worth about $70,000 and up. 1970-S small date – This 1970-S cent variety is identified by the size of the date numerals, the tops of which should all fall on roughly the same horizontal plane. The 1970-S small date cent is worth around $20 and up. 1983 doubled die – Die doubling is seen mainly in the words "ONE CENT" on the reverse of this error coin. Examples are worth about $200 and up. 1984 double die – The 1984 doubled die Lincoln cent exhibits doubling within Lincoln's ear. Spot this difficult error, and you've found a coin worth about $150 or more. 1995 doubled die – The 1995 doubled die captured a lot of media attention when it was discovered merely weeks after its manufacture. Doubling is prominent in IN GOD WE TRUST and is worth about $25 or more. None of these are easy Lincoln pennies to find in circulation. But isn't much of the fun of coin collecting in the thrill of the hunt? Keep your eyes on your change and good luck! Need to know if these are worth big Money?